This classic taupe blazer with black fabric trim is an excellent option when you want to look put-together and polished. The Silky Taupe and Black Open Blazer is made of a semi-sheer silky chiffon fabric. 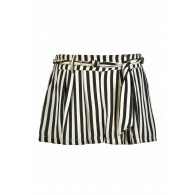 It has an open front with slightly ruffled edges and black fabric trim edging. We love the versatile color combination of taupe and black together in this little jacket. 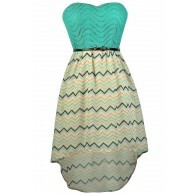 It would look great paired over a fitted black tank with black skinnies or cigarette pants for an on-trend look. Details: 100% polyester. Hand wash cold with like colors. Do not bleach. Lay flat to dry. Small measurements: Length from top of shoulder to hemline: 25”. You have added Silky Taupe and Black Open Blazer into Wishlist. You have added Silky Taupe and Black Open Blazer for Stock Notification. You have set Silky Taupe and Black Open Blazer as a loved product. You have removed Silky Taupe and Black Open Blazer as a loved product.